Q. 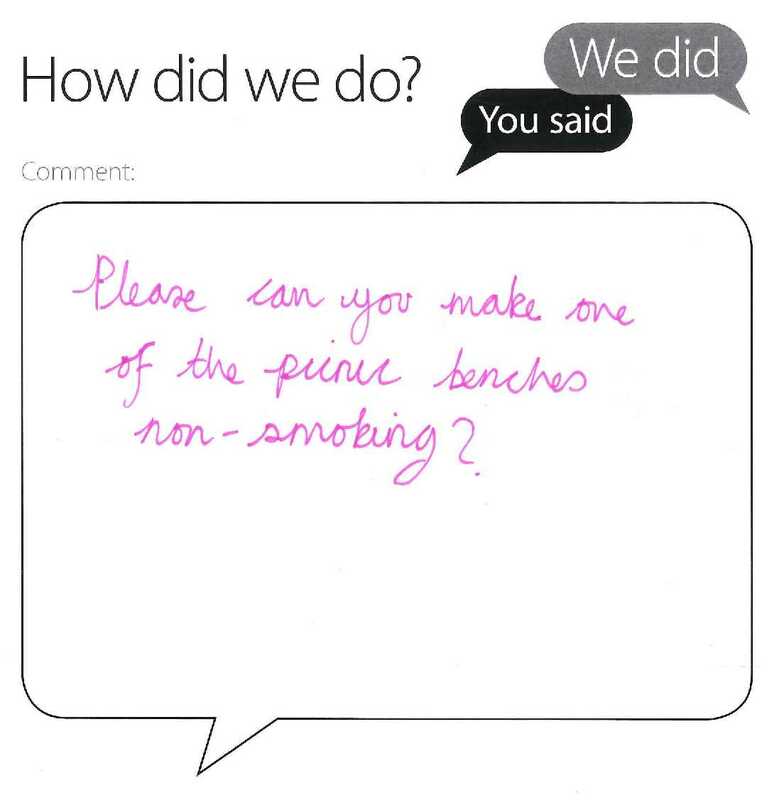 Can you please make one of the picnic benches non-smoking? Thanks for your feedback. As I'm sure you're aware, we have recently tried to improve the appearance of the front entrance of the Library by moving the smoking area away from the main doors, cleaning the paving stones up and having plant pots installed. We think it looks much better. Smaller picnic tables have been moved to the grassy area opposite the entrance and the larger ones to the south area of the building. These tables still have shelter as they are located under the overhang of the building. I don't feel it's practical for us to designate one of the exterior tables as non-smoking as I am struggling to see how such a rule could be enforced. Hopefully there is still sufficient space for everyone to use, be they smokers or non-smokers and that at least coming into and leaving the Library itself is now a less smoky experience.